We can do whatever we want, Eddie. Do we have a deal? Indeed, Tom Hardy’s Eddie Brock and the alien symbiote in Venom are capable of many things when they put their minds together. Quite literally, in fact. 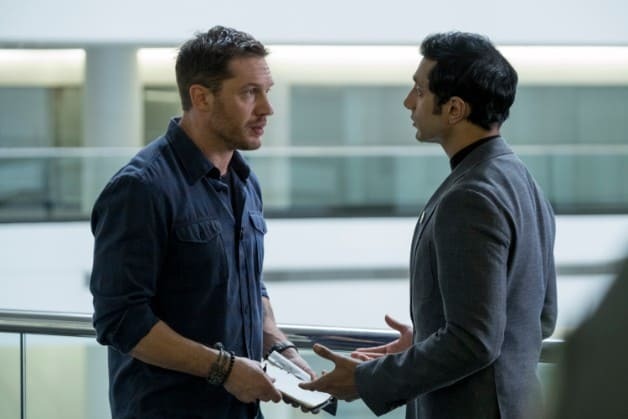 And with the Venom film now in theaters, moviegoers and audiences have an opportunity to see Eddie Brock put his journalistic skills to the test. But even though Brock may be a villain to some, to others he’s merely an anti-hero. If you want to go the Lethal Protector route, he can even be an outright hero. And this is on and off the screen, too. Why do I say off screen? Because the Venom lead is proving himself to be a hero in other ways. If there’s one thing that brings joy to children, particularly those who are bedridden, it’s an opportunity to meet their heroes. And for a very long time, we’ve seen actors- not just in comic book films- go the extra distance to take a few hours out of their day to bring joy to a child’s life by paying them a visit. It may not mean much to some, but to many others, it’s an important gesture and shows that the actors and people paying these visits are the real heroes. Tom Hardy is another example of that. What do you think of Tom Hardy’s gesture? And now that the film is out in theaters, what did you think of the Venom film? Let us know in the comments below. Directed by Ruben Fleischer, Venom stars Tom Hardy, Michelle Williams, Riz Ahmed, Scott Haze, Reid Scott, Jenny Slate, and Woody Harrelson. The film is currently playing in theaters.